Last week, JPMorgan Chase announced that it will raise the minimum wage it pays workers from around $10 to a range of $12 to $16.50 depending on local cost of living. Never mind that Chase also recently announced it was eliminating thousands of jobs through automation; the point, here, is that this is one more big bank giving a major nod to the rising national clamor around inequality. We keep tabs on such things, because philanthropy is a primary way that banks send political or social signals—as well as engage in mea culpas or enlightened self-interest. Bank foundation initiatives for poverty reduction, affordable housing and workforce development have been coming fast and furiously lately from a financial services sector that (a) has lot amends to make; (b) doesn't want to seem out of step with pressing public concerns; and (c) has come to see that it has a major long-term interest in more broadly shared prosperity, which will translate into greater demand for its products and services. All of which brings us to Bank of America's latest big give. The bank just put $40 million into youth employment initiatives, including its existing Student Leaders program, summer jobs, grants for workforce development and education, and partnerships with organizations like Urban Alliance, Jobs for the Future, and Boys & Girls Clubs of America. The youth programs that Bank of America is funding with the new $40 million are many and varied. Its flagship Student Leaders program provides high school juniors and seniors with paid internships reflecting their interests in community development. A trip to D.C. is part of the package. BoA also works with mayors to connect with nonprofits providing summer jobs and skills training on the ground. Another angle from BoA’s announcement may be more self-interested. In partnership with organizations like the Posse Foundation and Sponsors for Educational Opportunity, BoA is committed to recruiting a diverse body of workers to its own ranks. Some of these funds will likely go toward channelling promising youth into BoA's hiring department. And considering the bank has over 200,000 employees, the potential impact on local economies isn’t nothing. As we've noted in the past, banks are among the top employers of entry-level service workers in America's top urban areas. Which means these institutions know first hand the strengths and weaknesses of today's increasingly diverse young work force. 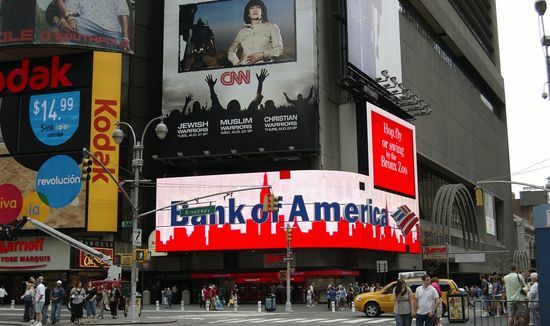 Bank of America is just one bank cultivating career readiness and pathways to the middle class for at-risk youth. Many of those young people might even end up working for the company that helped them. This enlightened self-interest parallels a growing focus of bank foundations in helping in low-income people better save and manage money. After all, those savers are potential customers. Within the banking industry, Bank of America’s $40 million outlay to youth employment is impressive, but not unprecedented or unmatched. Back in 2014, JPMorgan Chase dedicated $250 million to workforce development. Citi followed that with $50 million the same year.